The Lighthouse contains two separate apprartments – Vokteren and Assistenten. Vokteren contains a spacious kitchen , a living room often used as a conference-room, room for approximately 20 persons, and a smaller room used as a lounge. Vokteren has 10 overnight accomodation. Two bedrooms in ground floor, and two bedrooms in first floor. Vokteren contains two bathrooms, one in the ground floor, and one in first floor. Assistenten contains a spacious kitchen, and two living rooms. 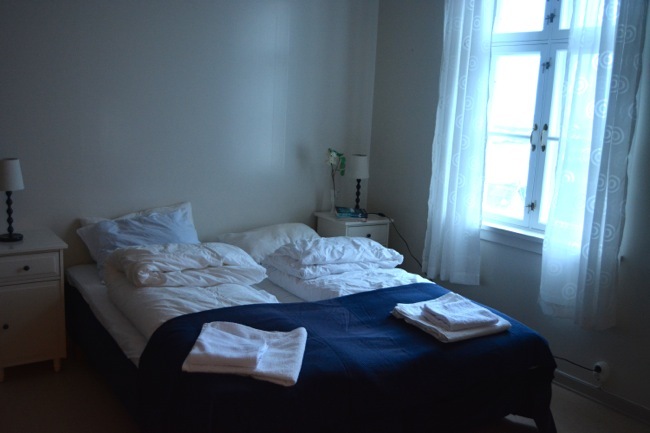 Assistenten has 6 overnight accomodation , two bedrooms in first floor with two beds in each room, and one of the livingroom in ground floor contains a double bed. Bathroom in first floor. Both appartements are equiped for self-catering. The first day you pay for startup and number of bedrooms. From day two you just pay rent for number of bedrooms. The rooms have been named after small islands in the archipelago of Sula. 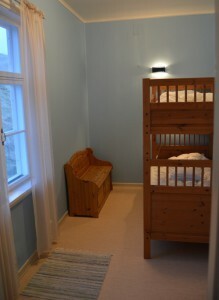 Andholmen – family room on the ground floor with two single beds and one bunk bed. Sleeps four. Seiballen – room on the ground floor with bunkbed. Sleeps two. 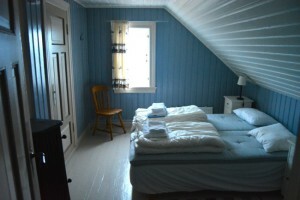 Skarvkloningen – room with two single beds on the 1st floor. Kallholmen – room with two single beds on the 1st floor. 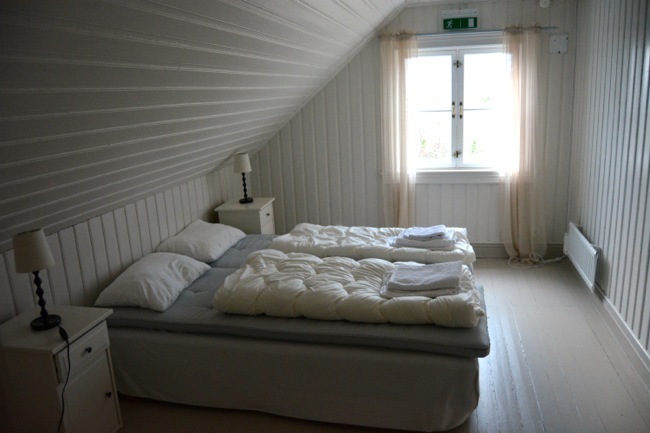 Topphuset have a spectacular view and contains three bedrooms. Sleeps five. Both houses are equiped for self-catering.